Bundles are commonly used when offering a number of products as a package or bundle deal as an Extra. Essentially, product bundles allow you to combine multiple SKUs into one product. The SKUs are individually identfied when exported, a separate SKU is not needed for the bundle product. Click here for steps on making an existing reward level available as an extra. Found in the left menu. 2) Click on Add Product. Located in the top right corner. 4) Fill in Basic Info. Give the bundle a name, price, description (list the products included) and an image. If there is a limited number of bundles available be sure to list the max available. 5) Expand the Mapped Products, Choices & Questions menu. Click the green plus sign next to each product included in the bundle. Product variations and questions will be prompted during the survey as normal. 6) Adjust multiples (if applicable). If multiples of one product are included, increase the quantity here. 7) Product Choices (if applicable). 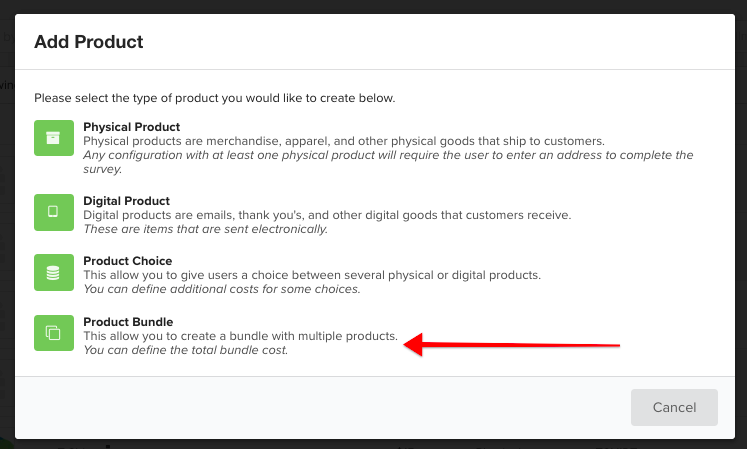 If the bundle includes a product choice item (click here for more info on product choice), then change the menu to "Choices" and click the green plus sign to add the product choice to the bundle. 8) Add Shipping Rates (if applicable). If backers are expected to pay additional shipping when adding the product as an extra, you will need to apply shipping rates to the product. Expand the Shipping menu and change the drop-down to 'Everywhere'. Click here for help with adding shipping rates. 8) Save your new product. Click 'Create New Product' found in the top right corner. 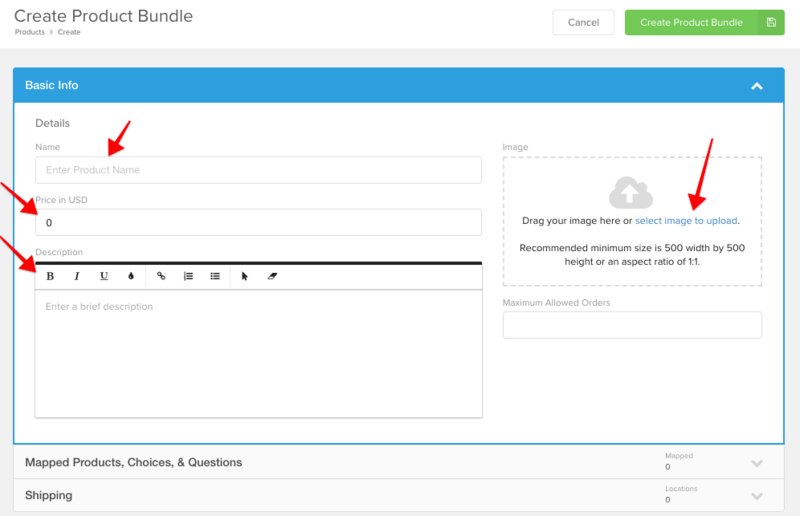 Click here for information on how to add your product bundle to Extras.